Great experience for the price. Hotel was clean. Staff was friendly and helpful! If I’m ever in Montréal, I would stay again. Looked the old quaint building. Staff were extremely friendly and helpful. The breakfast was delicious!! Good location. I loved my room and everything else about the hotel!! It was so beautiful and comfortable!! The food was to die for!! Thank very much for the wonderful stay!!! Breakfast was pretty good and the location is fine once you've found the very well concealed metro station. I liked the location the best. My room was wonderful just for myself. The breakfast was great and so was the location (5 minutes walk from both the metro and bus station). Room was small but cozy and the price was definitely worth it! 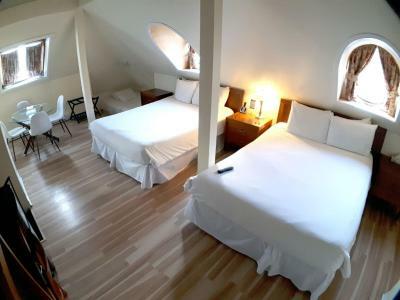 Very clean rooms as well! Staff was helpful and helped me to get a room on the floor of the front desk so I don't have to carry my suitcase all the way up and down. location is great, best location for the money we paid. I got a free parking at the hotel, if you find a place, do not move out your car, it's very terrible park a car in Montreal. 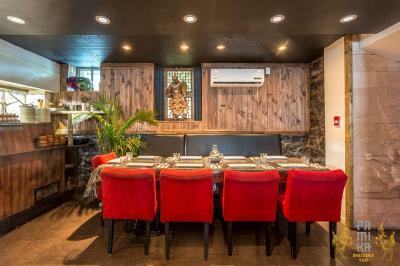 Several place to eat, go to poulle at Mouille at Rachel street, great food, cheap price a portion place is huge. 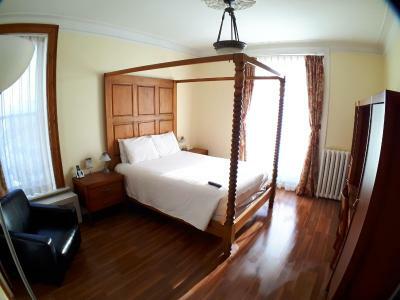 This hotel is on a great location and very European style, the breakfast was included and the staff was friendly. The hotel is being renovated. Great hotel, nice staff, clean, Comfy bed. Good breakfast😊. 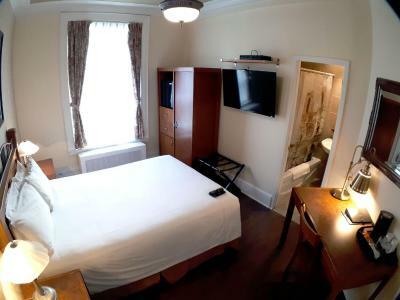 Hotel de Paris Montreal This rating is a reflection of how the property compares to the industry standard when it comes to price, facilities and services available. It's based on a self-evaluation by the property. Use this rating to help choose your stay! 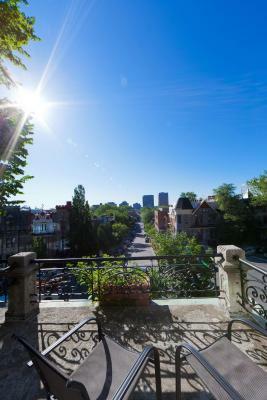 One of our top picks in Montreal.Located in Montreal’s Latin Quarter, Hotel de Paris occupies two separate century-old stately manors. 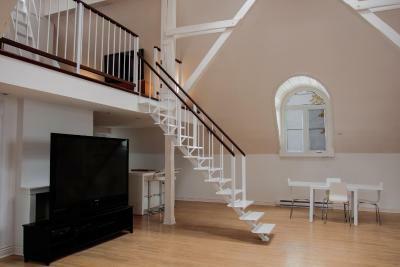 This property does not have elevators. 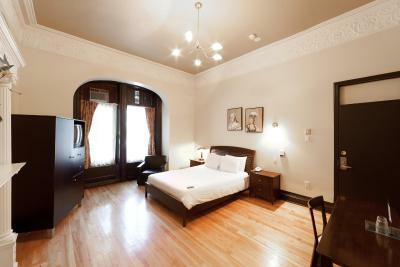 Each guest room is individually decorated and includes cable TV, private bathrooms and free WiFi. 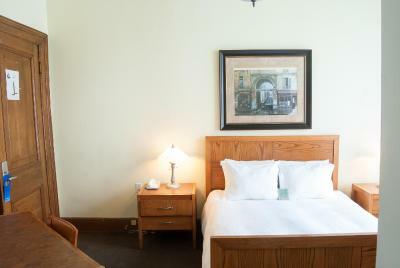 Hotel de Paris guest rooms are air conditioned and provide personal hairdryers. A continental breakfast is available every morning in the on-site bistro, which also offers lunch. 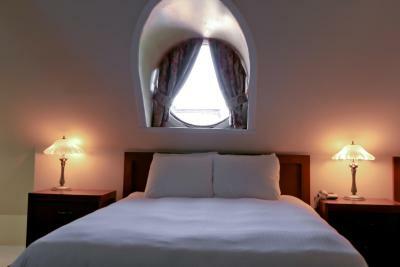 Paris Hotel includes a 24-hour front desk and a seasonal outdoor terrace. 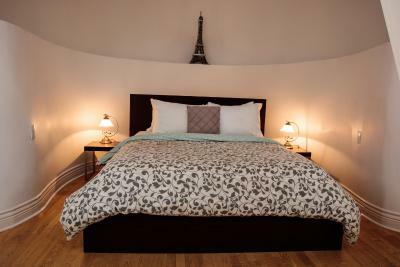 Hotel Paris is within walking distance of Parc Lafontaine and St. Denis Street. 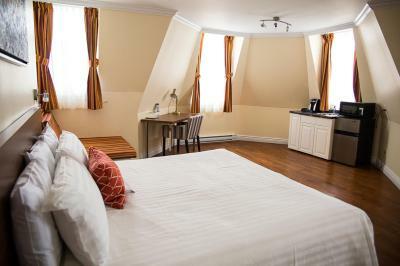 Guests can also walk to Old Montreal and Chinatown. 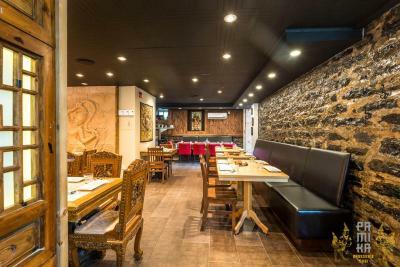 The underground city, restaurants and nightlife are also nearby. 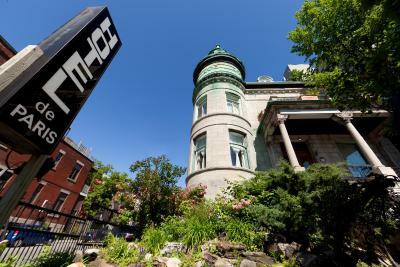 Plateau Mont Royal is a great choice for travelers interested in atmosphere, ambiance and friendly locals. 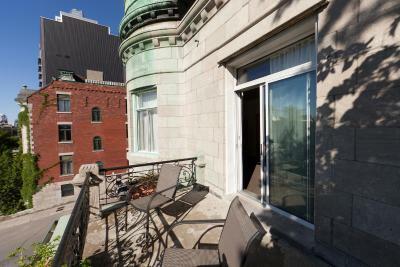 When would you like to stay at Hotel de Paris Montreal? 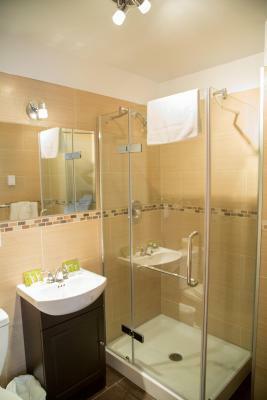 This small room features an LCD HDTV, work desk and private bathroom with bathtub or shower. Private parking is available on site (reservation is not possible) and costs CAD 15 per day. 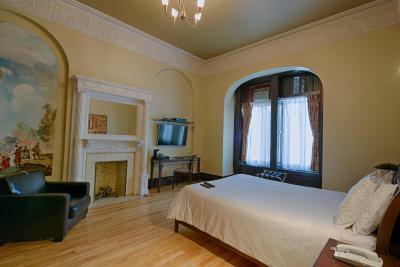 This room is in the Annex, across the street from the main property. 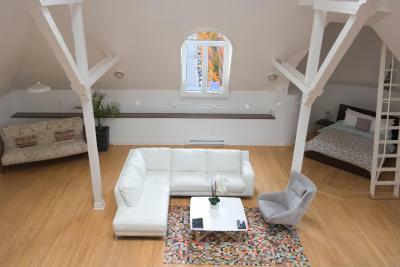 Although no two rooms are identical, each room features unique characteristics such as fireplaces, columns, moldings, bay windows or kitchenettes. 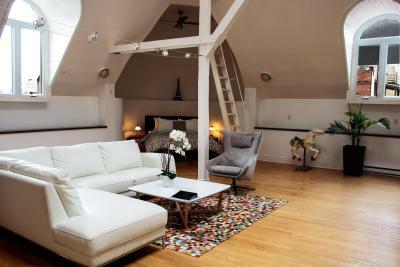 All rooms in this category feature hardwood floors. Please note that this room category is pet-friendly for an additional fee. Please contact the hotel for details. 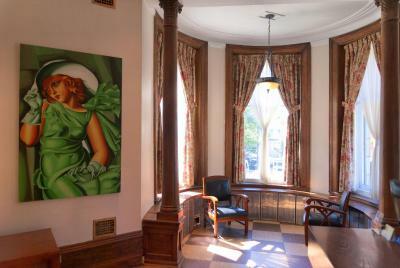 This room can be located in the main building or in the Annex, located across the street from the main building. 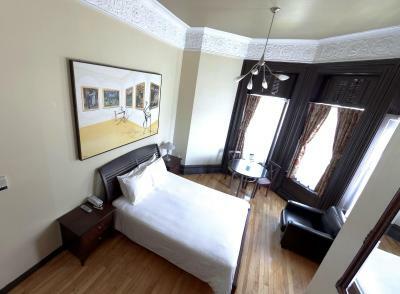 This room features a queen bed, 32-inch flat-screen TV, in-room coffee and a work desk. 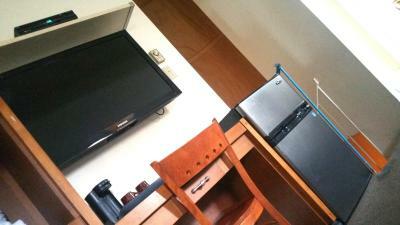 Some rooms have a kitchenette, based on availability. 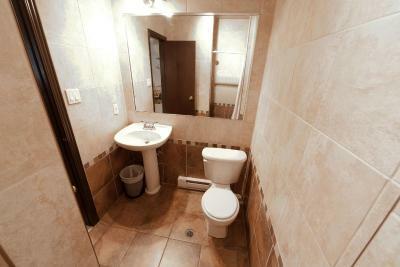 This small room features an LCD HDTV, work desk, air conditioning and a small private bathroom with shower. 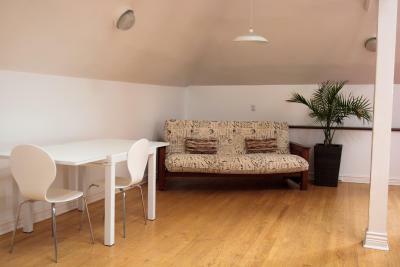 Large room designed for families with up to 6 guests. 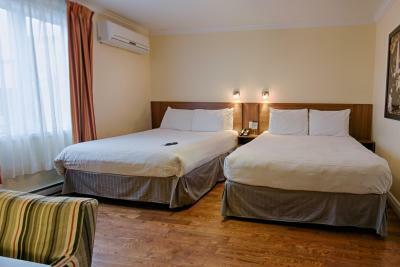 The multiple bed layout is a convenient sleeping arrangement for children of all ages. 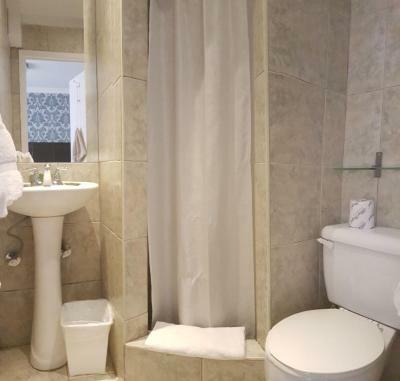 The bathroom in this room is designed to allow 2 guests to prepare simultaneously and the 32-inch LCD TV with HD channels provides great entertainment. 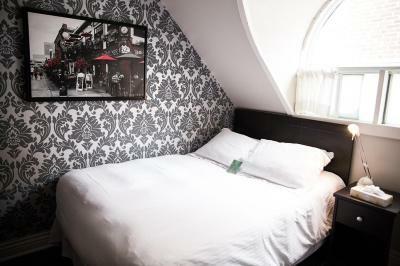 This wildcard room is a selection from one of the hotel's specialty rooms. Each of these rooms is unique. If there is a specific room you would like, please contact the hotel directly after your reservation to confirm availability. 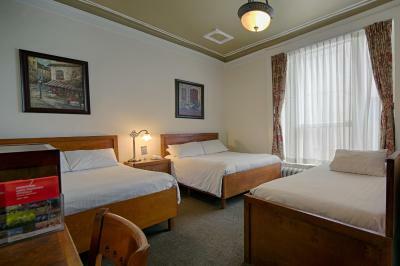 This room is on the third floor of the Annex building across from the main property. 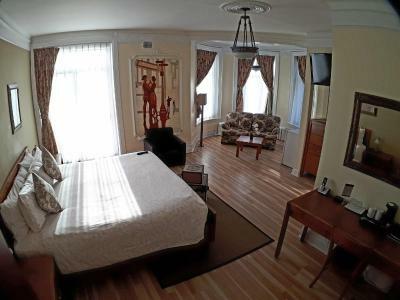 This sleek room features hardwood floors, a 40-inch LCD HDTV and modern bathroom. 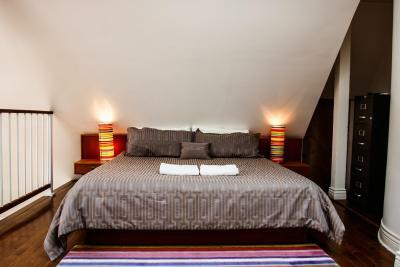 This quadruple room has a kitchenware, dining area and kitchen. Please note: Hotel de Paris is housed in two separate century old stately manors WITHOUT elevators. It has been open since 1985. 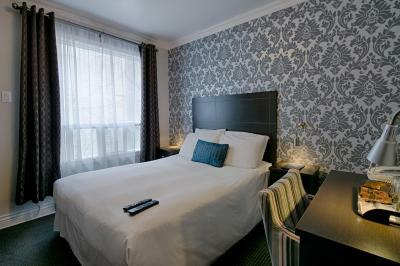 It started off as a small nine room hotel that has seen significant growth over the years. An addition as well as an annex has been added to create what is now a 43 room boutique hotel along Montreal's famous Sherbrooke Street. 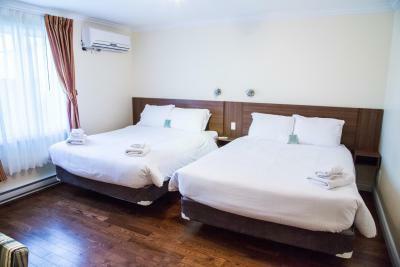 Hotel surroundings – This neighborhood is a great choice for travelers interested in atmosphere, ambiance and friendly locals – Check location Great location - show map Guests loved walking around the neighborhood! 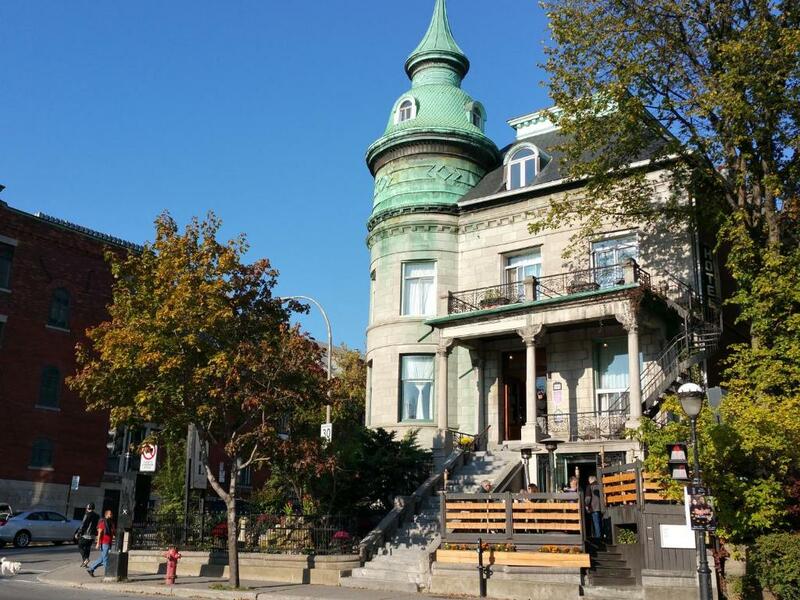 House Rules Hotel de Paris Montreal takes special requests – add in the next step! Hotel de Paris Montreal accepts these cards and reserves the right to temporarily hold an amount prior to arrival. Please note special conditions apply for fully prepaid policies. Please note that Hotel de Paris does not have an elevator; rooms are accessible by stairs only. 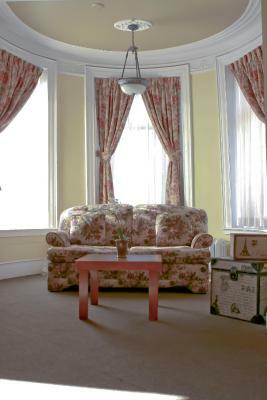 Guests with limited mobility are encouraged to request a room on the ground floor upon booking. Special requests are not guaranteed and are subject to availability. 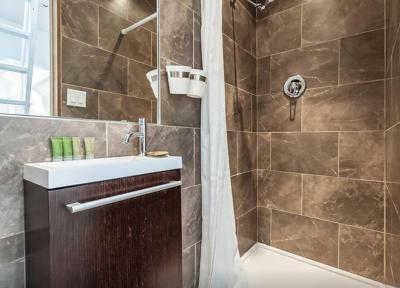 Please note that due to the nature of the property, no two rooms are exactly alike and each room may differ from the photos. 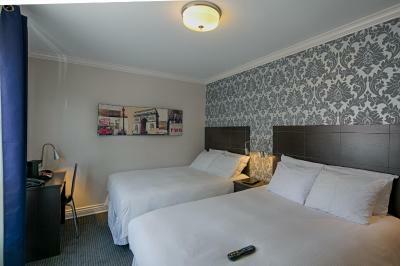 If you have a special request for a specific room, please contact the reception directly to confirm availability. Pets can be accommodated upon request for an additional charge of CAD 15. 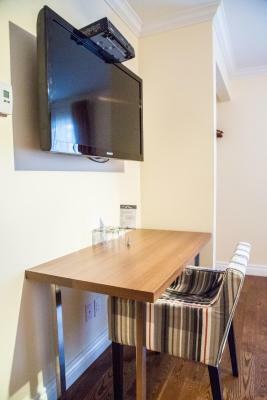 -Free street parking is available next to the hotel on a first come first served basis. 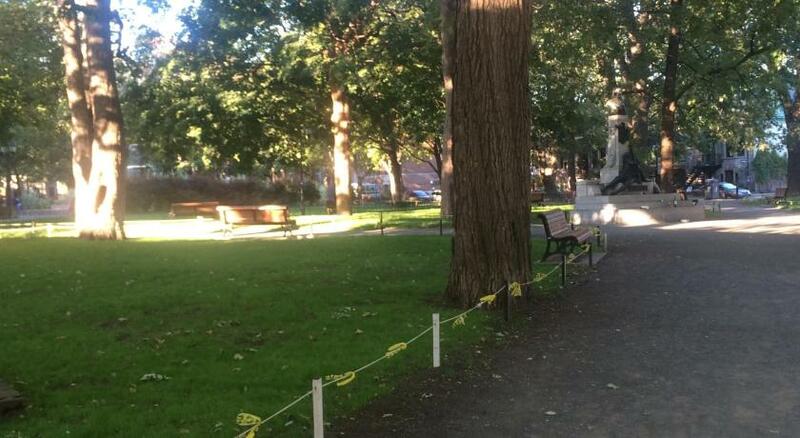 These spots are not guaranteed and may require you to move your vehicle at designated times. 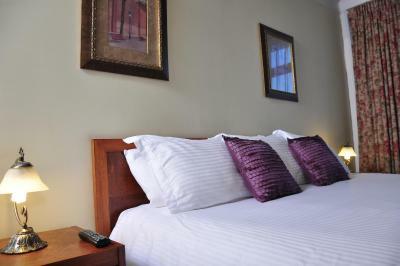 -Free gated row parking is available behind the hotel on a first come first served basis. These spots are not guaranteed and will require to leave your keys with the reception. Space is very limited. -Paid parking is available across the hotel in a private indoor garage. Cost is CAD 15 + taxes, per night. Space is limited. Needed more than one chair in the room. Bathroom soaps/shampoos disappointing. Needed some drawers. 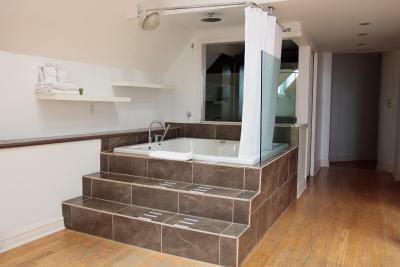 Could've have had something more robust than a shower curtain - couldn't help get the floor wet. Breakfast was OK but the same each day - could do with more variety. Some staff were excellent (friendly, welcoming and communicative) - some did not really engage. Really comfortable beds. The hotel had a lot of character. Liked the location - near to Metro, bus station and restaurants on St Denis. Nothing. Room was a good size for one person. Really tiny bathroom & TV though. WiFi was good. Bed was comfortable. 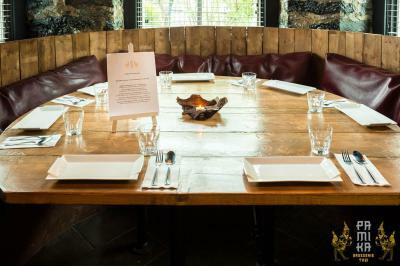 Staff was very accommodating. Staff was lovely - friendly and very helpful. Unfortunately had a noisy room with mechanical sounds of plumbing all night. A little loud with some late night guests returning. Clean and comfortable for a good price. This was our second visit here. 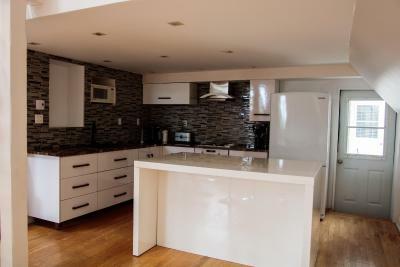 The was clean, wonderful location close to downtown. 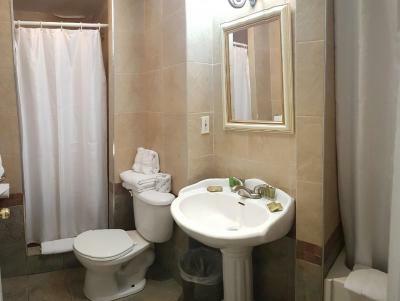 The sink was clogged up, there was no place to hang the towels, the staff was quite rude giving information about parking, the room and toilet were very small, they did not take the garbage of the room. Lots of steps to the room if you have a lot of luggage. Shower and bathroom was tiny. 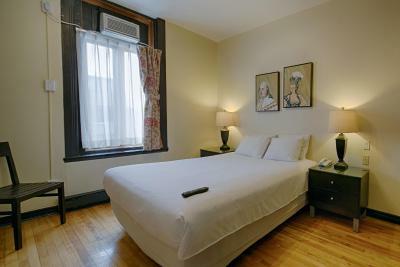 I liked the room I had, the bed, the staff were awesome and very accommodating as I made an error with my reservation and they were extremely understanding. The only drawback is no elevator but I needed the exercise! I would not want to have been any higher than 2nd floor however. Just to keep in mind. Actually not having an elevator likely makes this location more accessible/available. The breakfast space is awesome! Thai restaurant by night and hotel breakfast venue by day! Again, I cannot fault this hotel for anything. It was a pleasant surprise ALL ROUND and can't wait to stay there next time! Finally, the bed was really comfy too...what can be better when away from home. Felt very at home there.